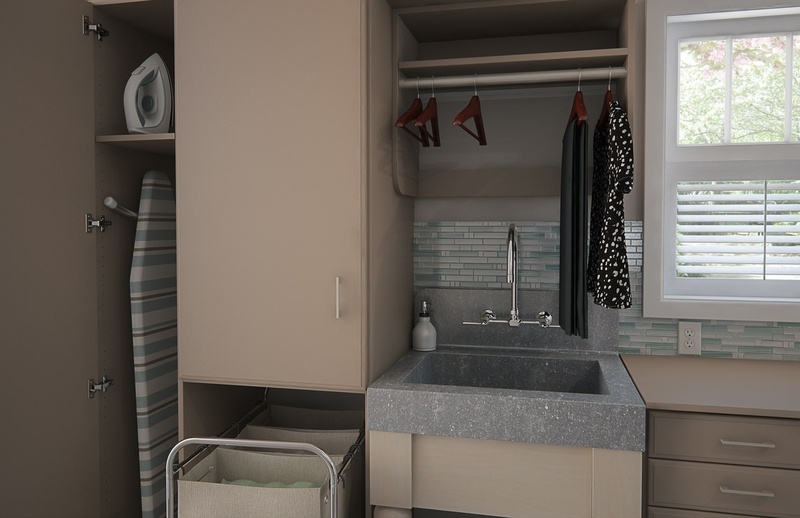 Hanging rods, shelves, and cabinets can be designed to fit your space and hold laundry supplies within arm’s reach. Storage cabinets with heavy-duty hinges open wide for easy access to your ironing board. Simply shut the doors to create a clean and tidy appearance in your laundry room.